We live in a cruel and selfish world, where most tend to have everything for themselves. But there are few people who have initiated their steps towards humanity with a vision to make our world a better place to live. Amongst them Nelson Mandela is one of the reputed personality who fought against racism for more than six decades. On behalf of his contributions every year on 18th June Nelson Mandela Day is celebrated to honor his good deeds and sacrifices. This day was first celebrated by the United Nations in the year 2010 on the grand occasion of his birthday to inspire people through Mandela’s teachings. 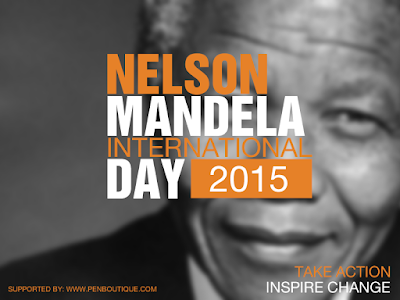 Nelson Mandela is considered as one of the most influential leaders of all time who inspired equality and change. For many Mandela is a symbol who lit the torch of justice against racism and inequality. Moreover Mandela Day not only celebrates his life and legacy, it also inspires everyone to embrace Mandela’s values and start initiating their steps towards humanity.